Training - La flamme de la résistance ne doit pas s'éteindre et ne s'éteindra pas! Immediately after having signed his commitment, Louis is sent to Camberley to learn the soldier's job. There, he is going to meet Squadron leader "Charles", Louis Ottensooser, in charge of the military training, as well as the army chaplain Léon Trentesaux, which throughout the war will help the Free French men to manage at best the absence of their family by making them adopt by "War godmothers". 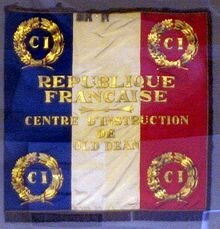 These last ones, as during the first conflict had to receive the young French men during their permissions, to write them and to supply them some belongings which their thin pay did not allow them to buy.Their role was very important and helped largely in the preservation of the morale of these young men. War godmother, Mrs Brooke wears proudly the Free French Air Forces badge which louis has just offered her. The apprenticeship of soldier's job displeases hardly Louis ,who longs to leave this place. He attends course of morse, recognition of the types of planes there and makes examinations opening him the doors of the English schools. Louis will not pass by the French Juniors Military Accademy. 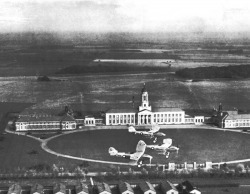 He moves directly to Cranwell at the Signal school.. 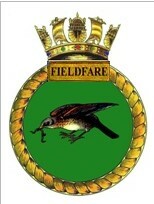 It is there that Louis is going to study to become Wireless radio operator. His knowledge of the morse and the English language allow him to make this training very fast. This success is worth to him being nominated to the rank senior aircraftmanl on December 15th, 1941. On February 20th, 1942 is breveted Wireless radio operator. were first made on the ground then in flight over the sea. Louis obtains his Air gunner's certificate on April 10th, 1942,he leaves chief of the list of the promotion of 60 men. He is back to Camberley, what displeases him hardly. Fortunately its appointment in the rank of "Aspirant"on April 15th, 1942 gives him a better morale. This rank of cadet Officer has no equivalent in Royal Air Force. Within RAF Louis. 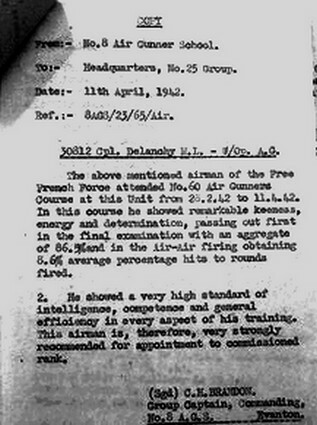 M.Delanchy had the rank of Pilot Officer ( P/O). During this period Louis perfects his radio technique. He also takes lessons of piloting with a Polish trainer. Regrettably we were not able to know if he has been certificated. 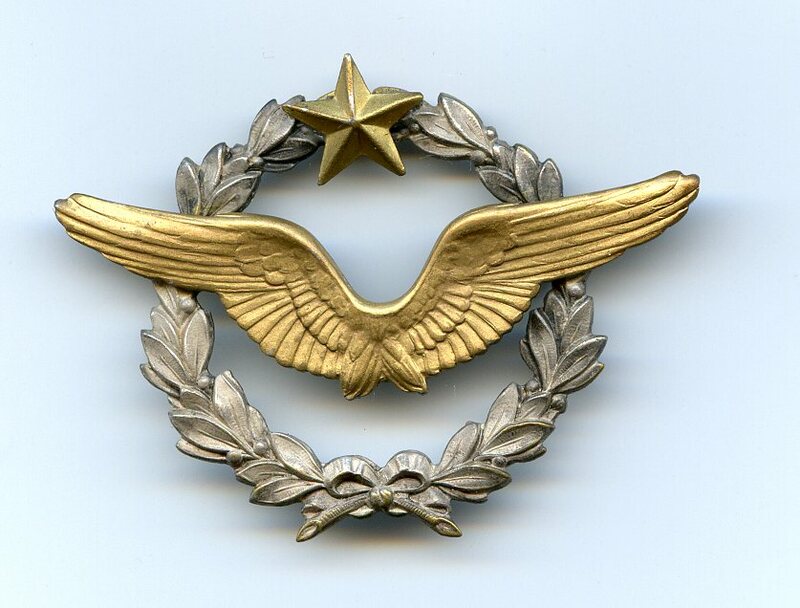 although in his personal effects, returned to the family after the war we found a pilot metallic badge. 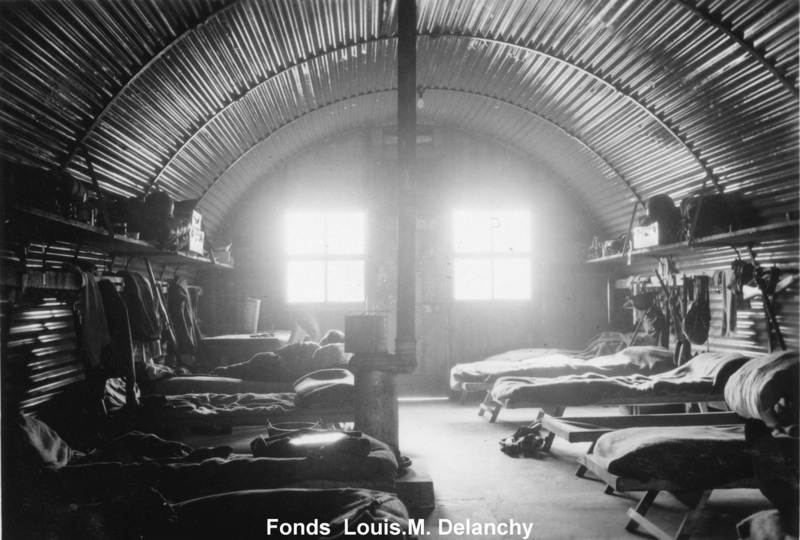 Louis speaks few about this period of expectation, few writings in his diary, only envy to leave this camp. The arrival in this training camp does not make him more talkactive we have not enough information on his activity.